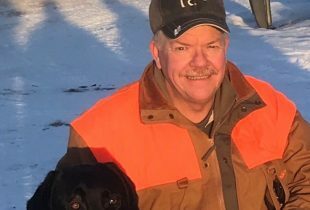 DUC’s role is most often wetland restoration, but sometimes its work requires that it secures the land and enable other conservation partners to lead restoration efforts. It’s a system that has worked very well. And there are two active, and ecologically diverse wetlands along the Fraser River to prove it. In 2007, DUC and the District of Mission purchased the Silverdale Wetlands. Located just north of Hwy. 7, the area covers 38 acres (15.37 hectares) of wetland and 75 acres (30.35 hectares) of forest. Back then, Silverdale Wetlands was an overgrown, abandoned field where a passerby was as likely to spot an empty chip bag as they were to see wildlife. “It was diked, partially filled, and an easy target for invasive species, like reed canary grass, largemouth bass, pumpkinseed fish, and bullfrogs,” says Dan Buffett, DUC’s head of BC coastal conservation. The Silverdale Wetlands during the restoration process. As one of the first steps, partners contoured channels and islands for the wetland using heavy machinery. opportunity to create wetland habitat,” says Natashia Cox, a project manager at FVWC. 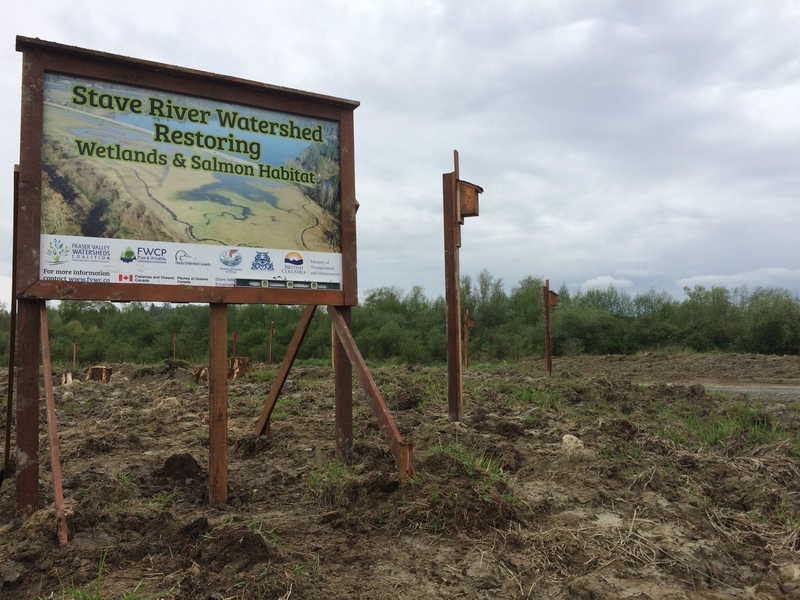 DUC, in partnership with FVWC, Fisheries and Oceans Canada, the Stave Valley Salmonid Enhancement Society, and with the help from many community volunteers, undertook a multi-year restoration of the site. Using funds from several sources, such as the BC Ministry of Transportation and Infrastructure and the Pacific Salmon Foundation, the project incorporated a variety of wetland restoration techniques. It began with constructing deeper water areas and shallow benches, contouring channels and islands, installing pipes, as well as planting wetland aquatics and terrestrial shrubs and trees. “As a result of this work, water quality began to improve. For the first time in many years, pink salmon returned to the site to join the increased numbers of coho and trout,” says Buffett. Now, a regular explosion of western toads occurs annually. 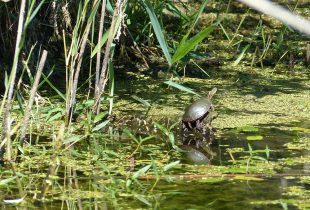 “And additional features were constructed for rare western painted turtles, red-legged frogs, and northwest salamanders,” adds Buffett. 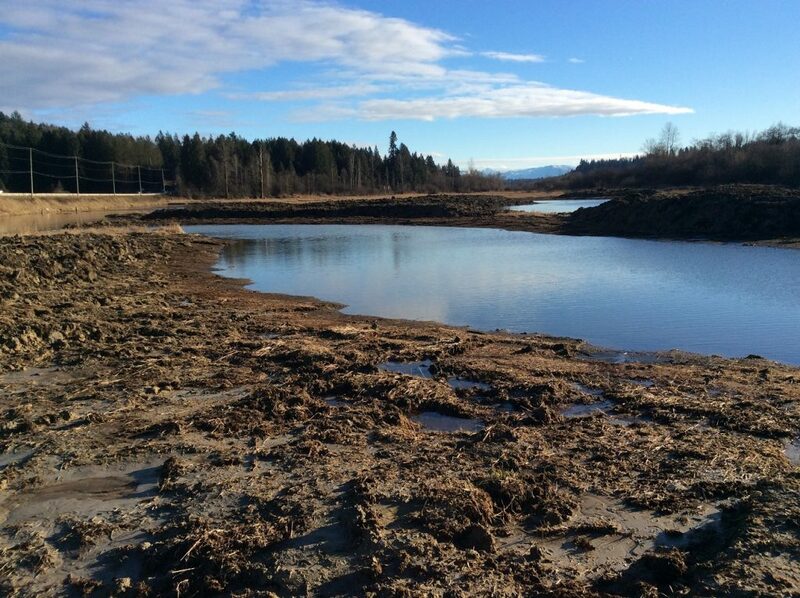 Through the installation of pipes and water flow devices, the water management of the wetland better emulates natural drawdown conditions of other tidal freshwater wetlands along the Fraser River. “Invasive species reside within these areas. Although invasive species can adapt quickly to their environments, areas that are less disturbed and more natural typically have less invasive species present. One of the goals in how we plan restoration projects is to try to mimic nature and natural processes,” explains Cox. By drawing down the water at key times in the year, restoration partners are able to create an environment that welcomes native insects, salmon fry, and amphibians. At the same time, it creates an “unhospitable environment for invasive species like large mouth bass and brown bullheads, which require large amounts of standing water,” says Cox. 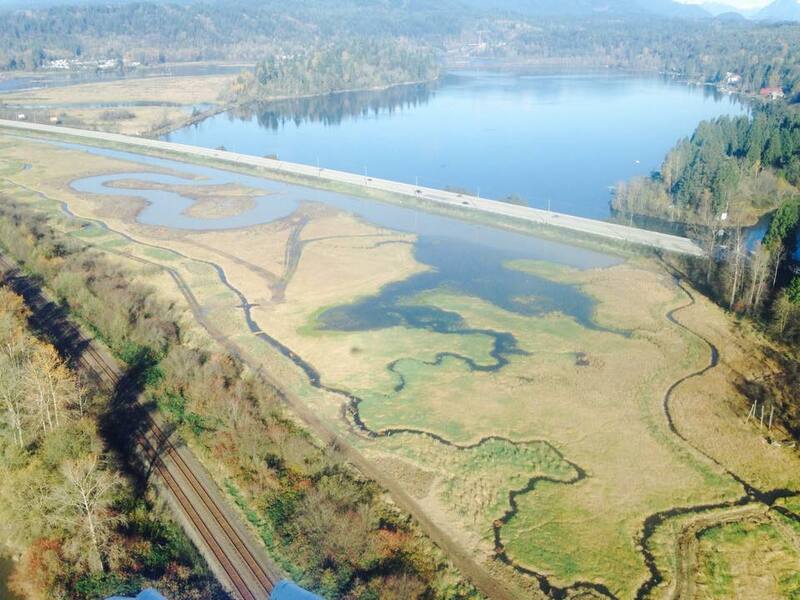 Today, Silverdale Wetlands is a hub for the community, and spawning salmon. Thanks to the success of the project, partners are replicating the process a few kilometers down the highway, at the Stave River Freshwater Estuary Wetland. An aerial shot of the Stave River Freshwater Estuary Wetland. In 2013, DUC purchased a portion of the property that comprises the wetland from Genstar Development Company. 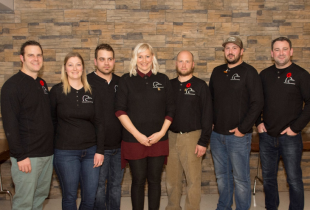 The real estate development company followed this purchase with a land donation in 2015. “With the same partners, and funding from the BC Ministry of Transportation and Infrastructure, Recreational Fisheries Conservation Partnership Program, and BC Hydro’s Fish Wildlife Compensation Program another wetland enhancement that began in 2014 continues through to 2016,” says Buffett. At this project, downstream weirs that acted as barriers to salmon were removed and replaced with a riffle control and valve that maintains water levels, but also allows summer drawdowns to reduce invasive species such as bullhead and bullfrogs. Extensive reed canary mats were removed to create more open water, and a perimeter channel was constructed that takes advantage of cool spring water releases for future salmon migration and potential spawning. “While this project is still in progress, the partnership and wetland function continues to grow,” says Buffett. Visit our Fisheries microsite for more information on how we’re safeguarding healthy ecosystems for the finned and feathered.